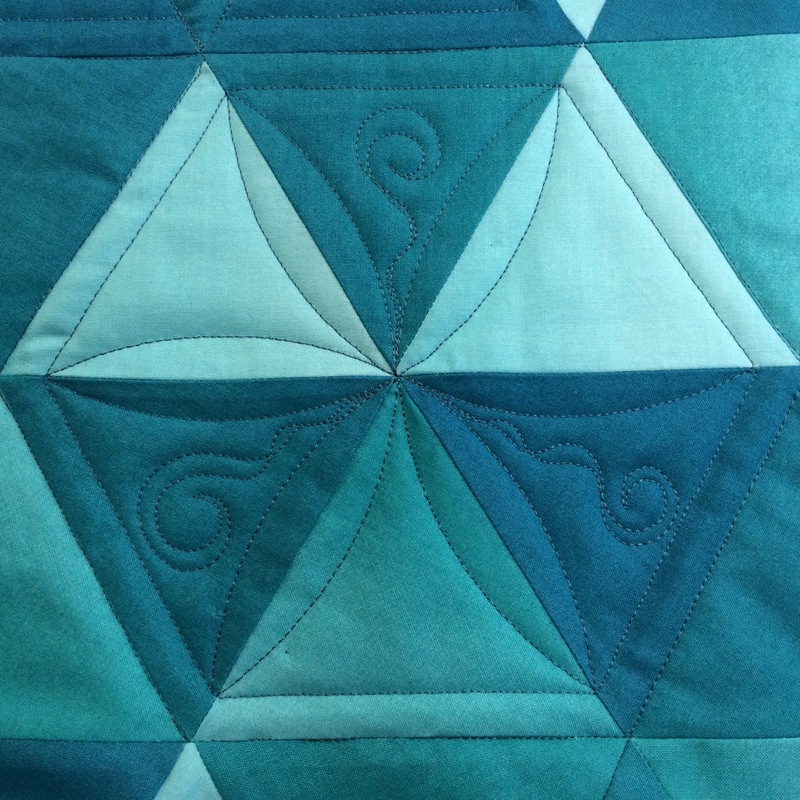 As my good friend Robin pointed out, true to form, I made a last minute project the day before leaving for QuiltCon. Fabulous people like Natalia Bonner, a big source of inspiration for ruler work. I've got some great pictures to share, but first, I give you my last minute project. 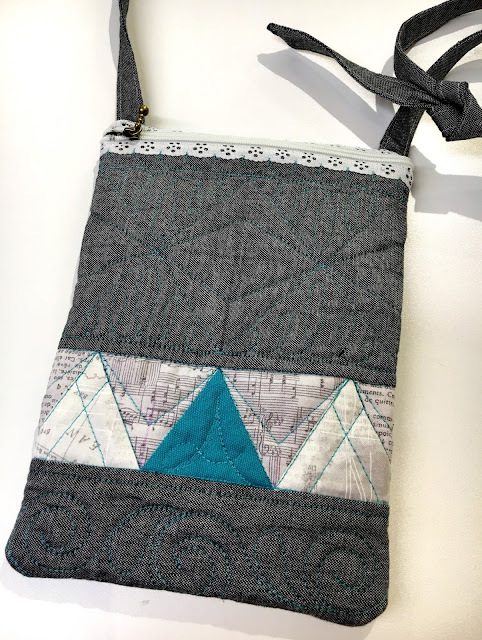 I loved making this little cross-body bag! I did a strip of pieced triangles near the bottom, but the rest was done in Moda Crossweave, which I am pretty much in love with even though it's harder then all get-out to see your stitching on this grey version. Even with contrasting thread and some camera editing magic, it's even hard to see in some of these pictures. 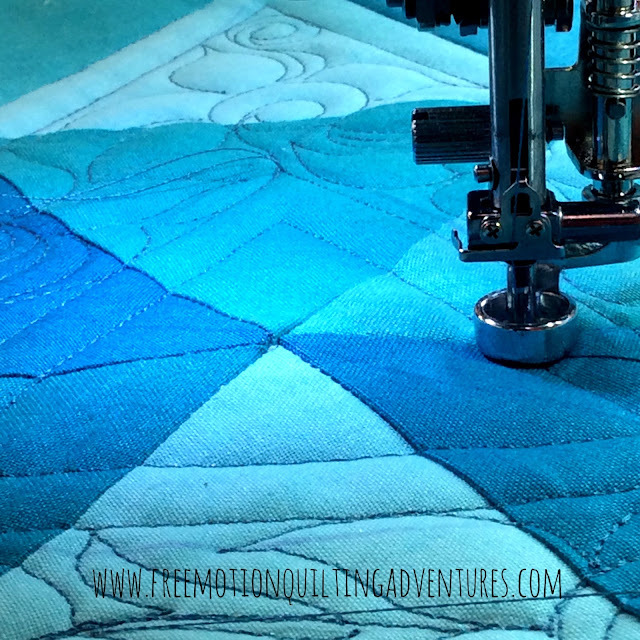 Some freehand free motion quilting on the back. I thought I was just tired when I was having trouble seeing my stitches. Nope. So glad I didn't use matching thread. It gave me a little spot to do some ruler work and was just big enough to hold just the essentials. I knew I didn't want to be toting around a bunch of stuff at the venue. Of course I did end up carrying some stuff that wouldn't fit, like my new favorite mug. 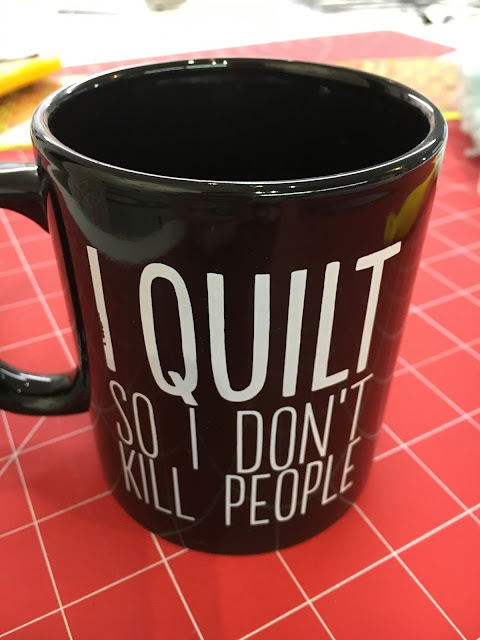 I envision telling my husband or kids that I need to do some quilting while subtly waving this mug around. Happy weekend! Here are some more pictures from my ombre triangles project. Check out last weeks post on it for more info on the ruler work I did, but now I wanted to show a few tricks I've learned over the years. The first is a bit of a cheat when you're going from one area to another where you'd usually break your thread tails. I lift the foot and needle at point #1, then move to an area where I've already quilted #2 and drop the needle down and back up, making sure to lower the foot first when using the ruler foot, and then move on to where I want to stitch #3. 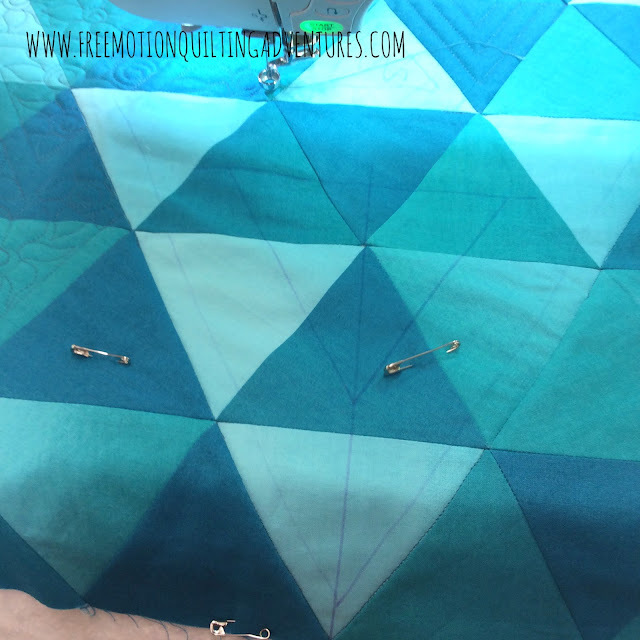 I make sure that my traveling thread isn't going to be in the way of my quilting at any point and that the overall length of the thread is long enough for me to cut it at that single stitch and still have thread tails long enough to knot and bury later. At point #3 above, I'm getting ready to do another 1/2 inch echo with my straight ruler before doing more of my floral filler. You can see in the picture below that the point where these 6 pieces meet, there's quite a hump. I know from past experiences that stitching through it to flatten it won't go well. 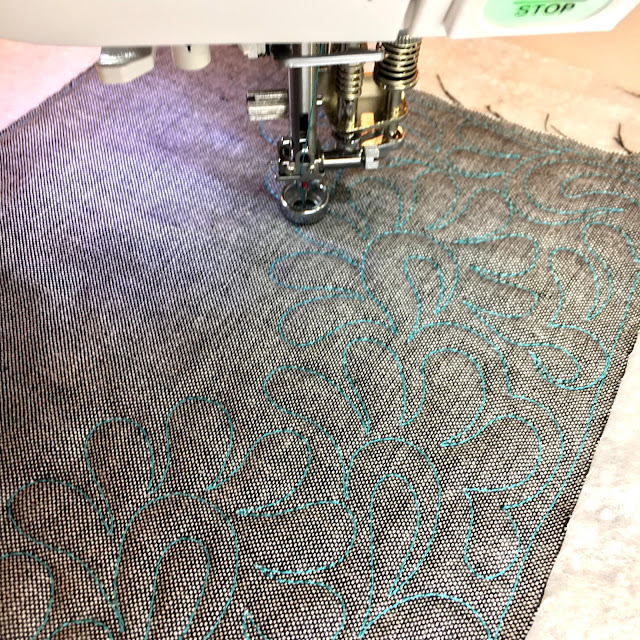 My machine can go through it fine, but my stitches will likely be wobbly. Instead I will avoid the center by circling around it for the most part. This flower fill I'm using works well for this. 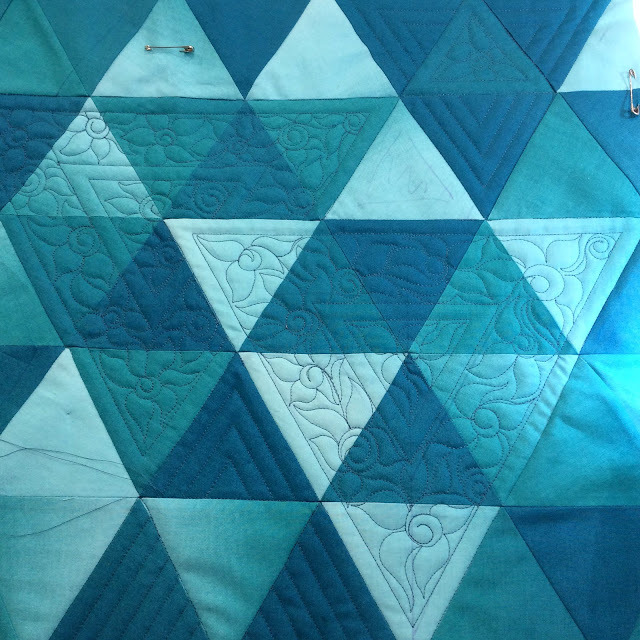 So now I've got another chunk of this quilt done. I can't wait to see what I'll quilt next! LOL. In fact that's what I'm going to do now! 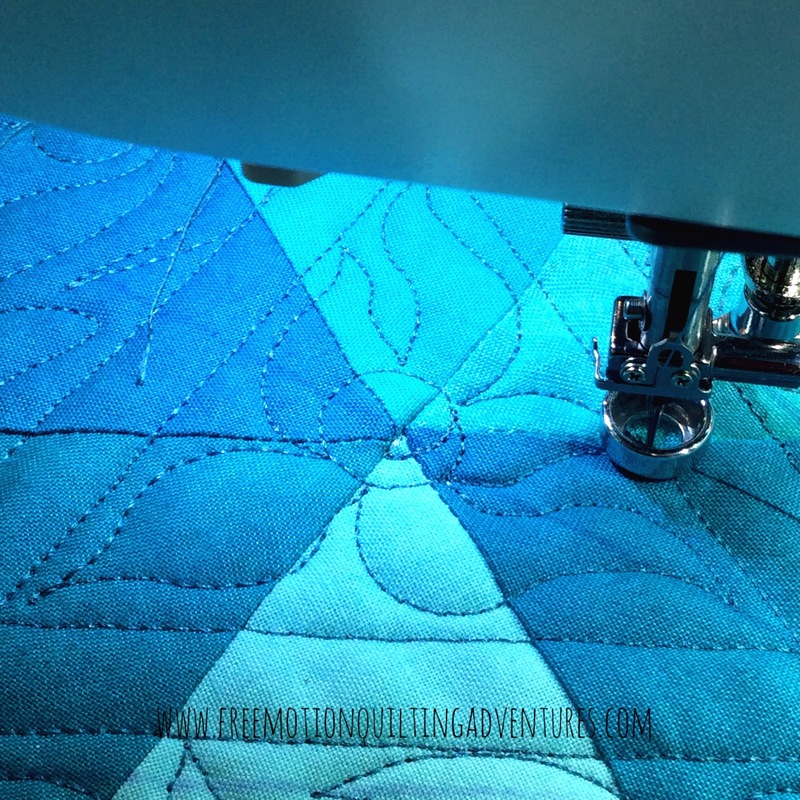 Thanks for following along on my quilting adventures. Last week, I received some news that made me feel pretty cruddy. Nothing too major now, especially after giving it some thought and prayer. The next morning, I arrived at the shop still feeling a little out of sorts. My hubby, with a big cheesy grin, met me with phone in hand and said, "Oh Amy...Leah Day, line one!" Leah and I had a great little chat. She's a very encouraging and down to earth kind of gal. If you read her blog you already know that, and you probably know about her new line of templates. 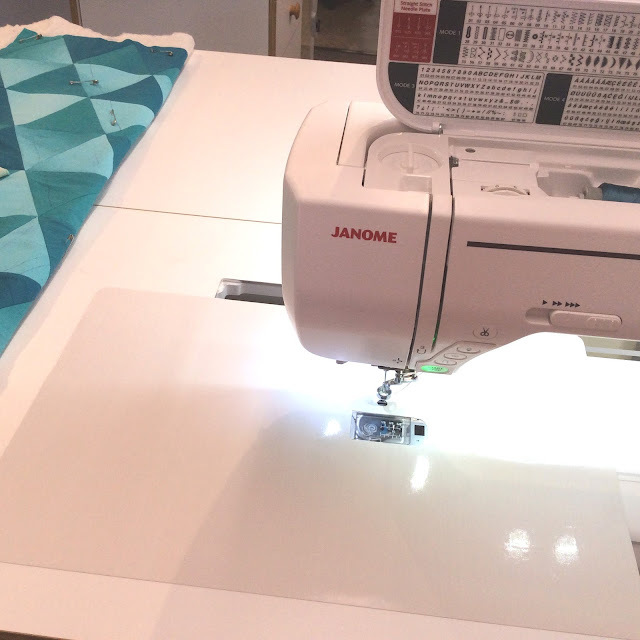 But, if you don't know, Leah's got a great learning program called the Machine Quilting Block Party. One of the blocks is a Dresden plate block and she's developed her own line of templates to help her students cut out these shapes quickly and accurately. 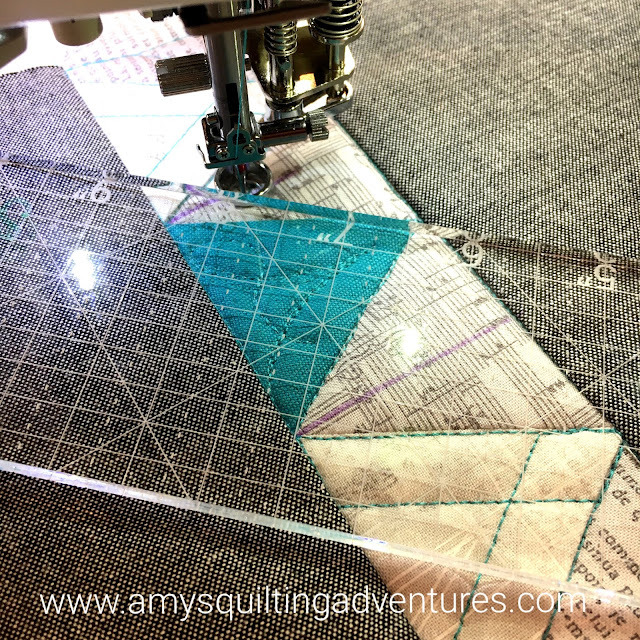 She's also designed them to work well as quilting rulers (used with a ruler foot of course!) with etched 1/4 inch markings along the edges. At 3mm thick, they're great for low shank machines and could be used with care with high shank sewing machines as well (keep the foot down low), though you know I like my rulers as thick as possible for safety and ease of gripping. These are not suitable for hopping long arm machines and probably not the #72 Bernina foot. I love a good, multipurpose tool! The ends of the curved blades and especially the circles can be really useful. There are several stretches of straight edges as well. For the price and the versatility, I think it's a great deal. They've been so popular that she's currently sold out of the Dresden Plate Template Set, but will have them in stock really soon! 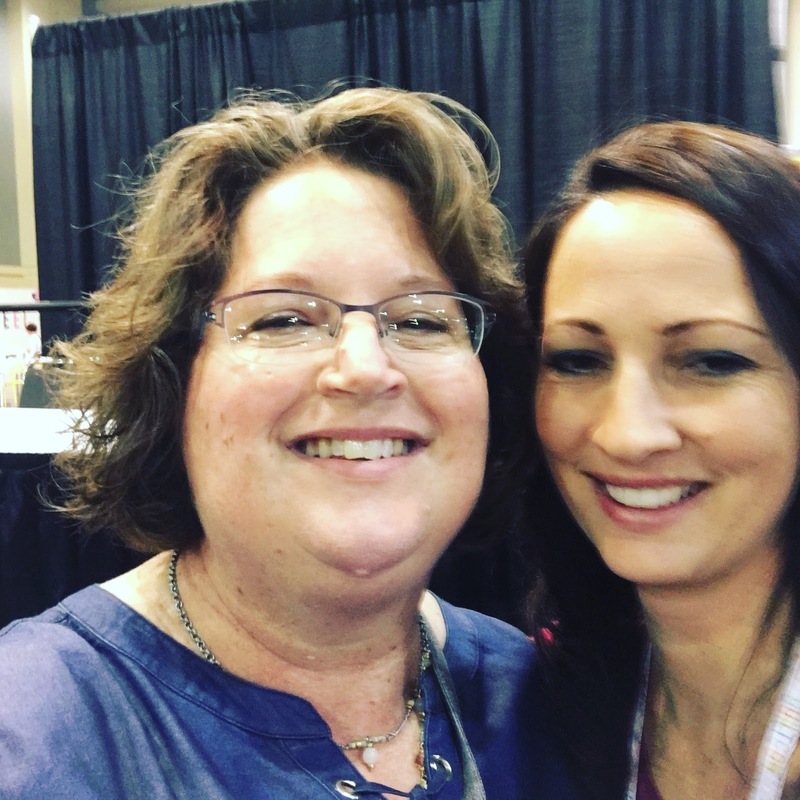 She doesn't sell ruler feet, so she's been kind enough to send folks my way via Amy's Quilting Adventures for those. That's why she was calling. Sweet, huh? 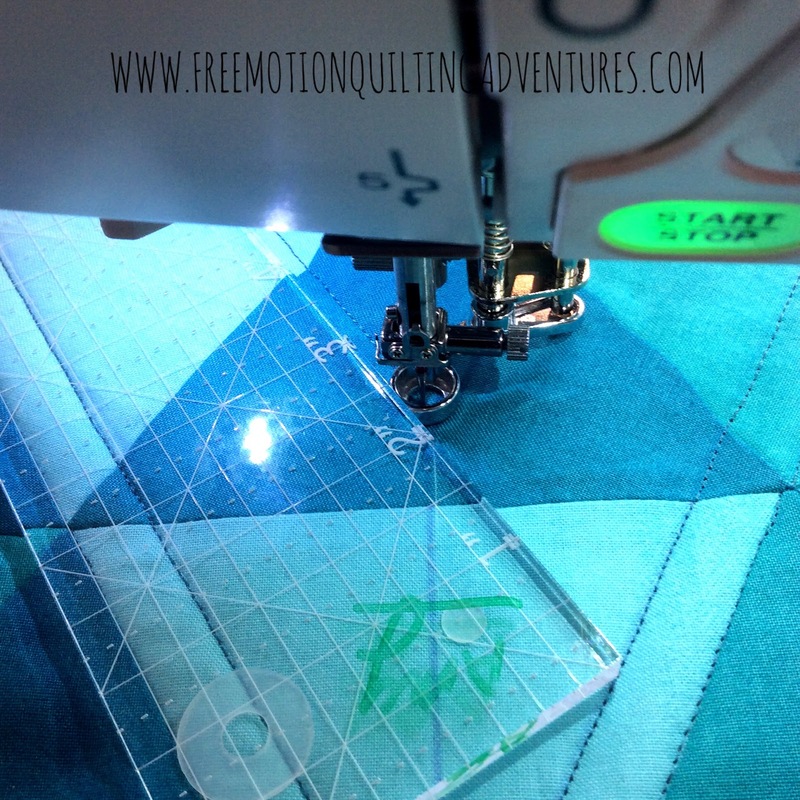 Over on her blog, The Free Motion Quilting Project, Wednesday's post, Ruler Foot Quilting for Beginners, shows her templates and how she's used them for quilting her project. I love seeing how people use the rulers they have in creative ways to make a variety of designs. You should check it out. She does a great job of showing how to make a clamshell type design with a single shape (actually she does this twice, with a different template) which is my preferred way of doing clamshells. 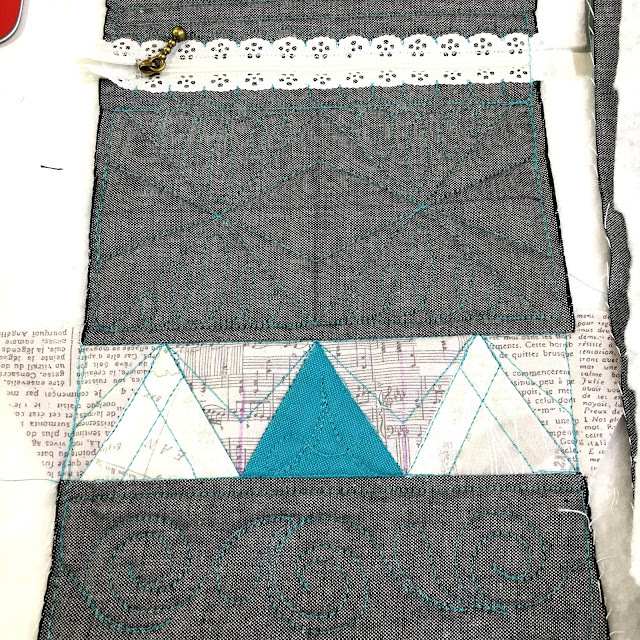 Speaking of using the rulers you already have for a variety of designs, that's what my second class with Craftsy is all about. While it's great to have some specialty templates if you want them, we all want to use our templates in as many ways as possible. 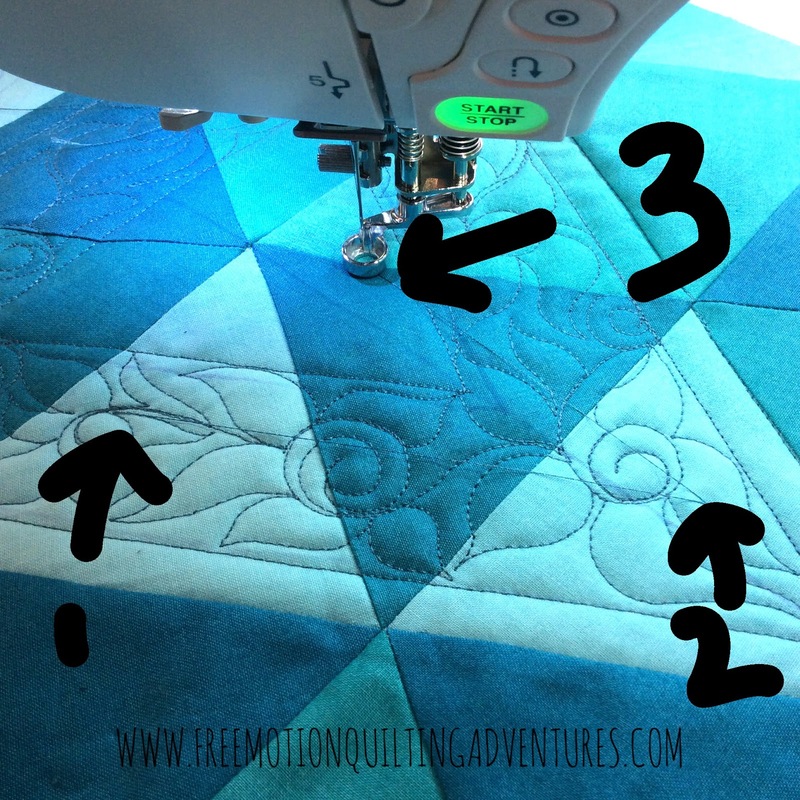 In my previous quilting with rulers post on my current project, I mentioned some issues I was having with my machine set up. 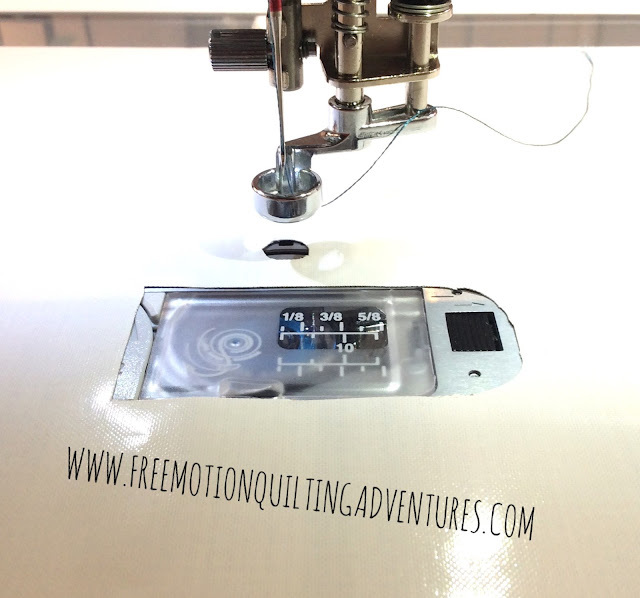 Having a good machine set up will, well....set you up for free motion success. First I needed to level the insert with the cabinet top. The machine was at the right height, but the insert needed to be up just a smidge to eliminate the little lip around the opening. I used the tiny inner circles from the adhesive silicone gripper dots I use on my rulers to prevent slipping. Just 6 of these small True Grips got it nice and level. Then it was time to replace my slider. I shared in my previous post that the slider I was using wasn't big enough. 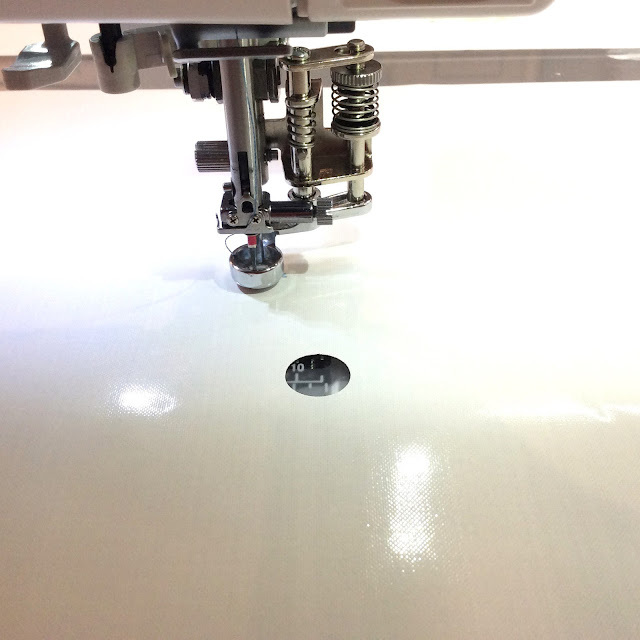 It was a custom sized slider made for the 8200 and 8900 machines to be used on the extension table that comes with these machines. It was really too narrow for this cabinet insert. If I wasn't using rulers, it would be fine. 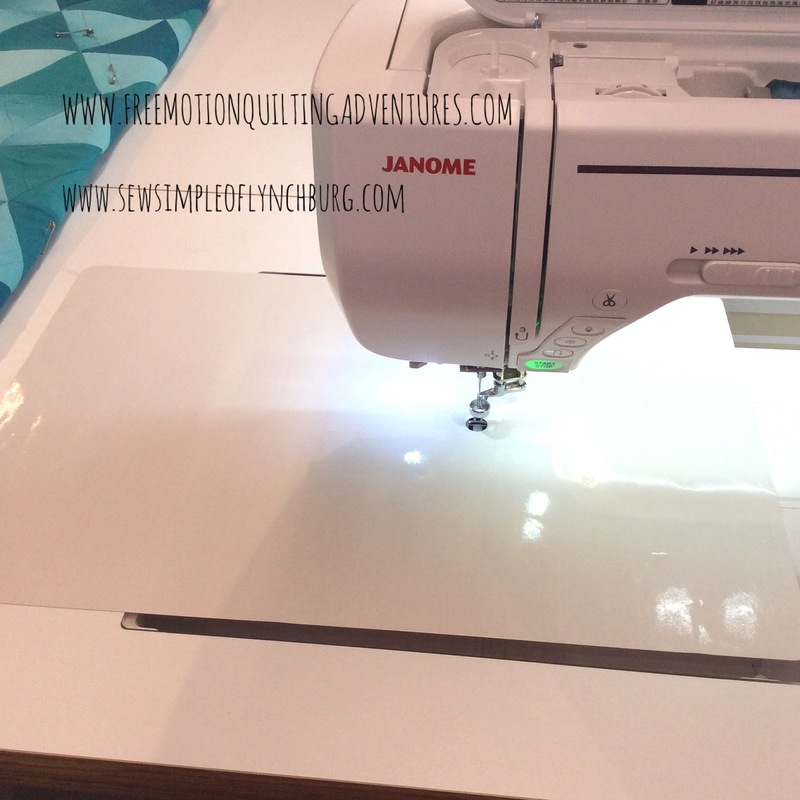 So I got out a Sew Slip mat and put it down. Alas, it's not quite big enough. I could have ordered a queen sized Supreme Slider at this point, but if you've read this blog for long, you know I think outside the box quite often and like to find solutions without buying something special if I don't need to. 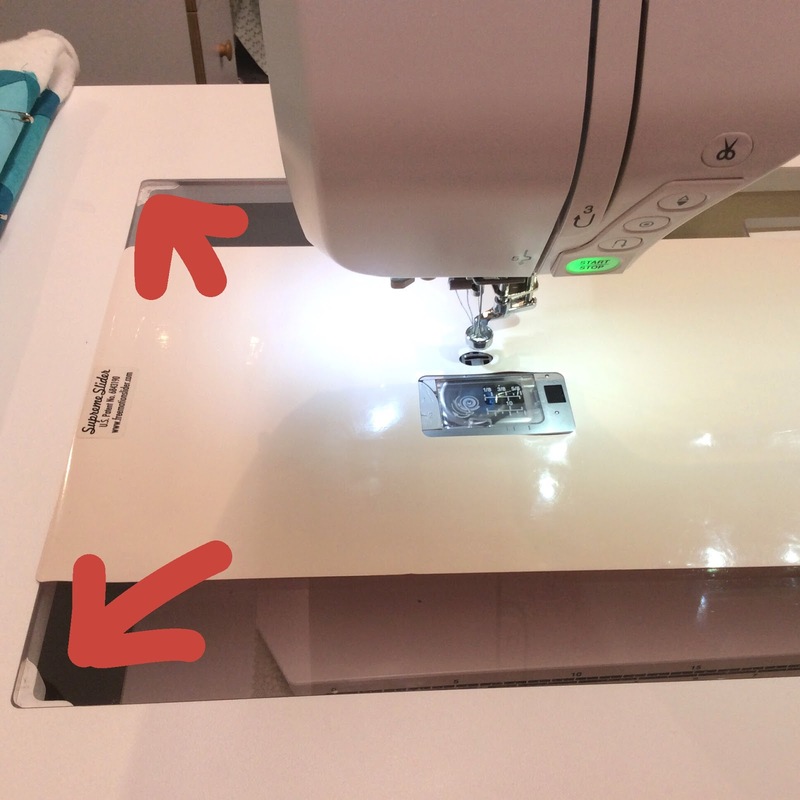 But I also knew I wanted to cut a hole for my bobbin cover plate, like the other mat had. There's a little loss in slide when I do this, primarily if a basting pin catches the edge, but easy access to the bobbin is soooo worth it. I positioned the mat to cover as much of the edges that I wanted covered and dropped my needle. The original hole was part of the area cut out for the bobbin case and I cut a new hole for the needle. The custom cut one was much nicer, but this will do. Now it covers the edges and grooves nicely. It's not so much about the slipperiness as much as it is about smoothing out the joins between machine, insert, and cabinet. Now I can get down to some stitching. 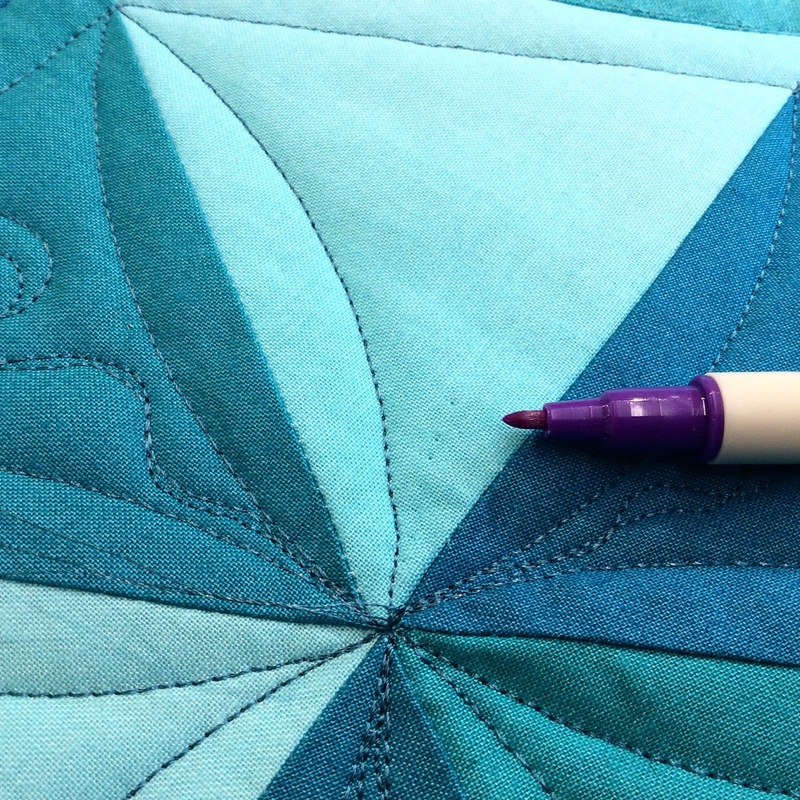 This post is getting long, so I'll just show some preliminary quilting for now. I'm breaking this little quilt into different sized chunks so I'm doing some quick marking to keep all the right designs in the right areas. The outer line above delineates the triangle, but isn't accurately marked, just sketched. But the inner triangle was marked accurately so it would be stitched properly. Then work a bit of the fill until I reach the inner triangle. 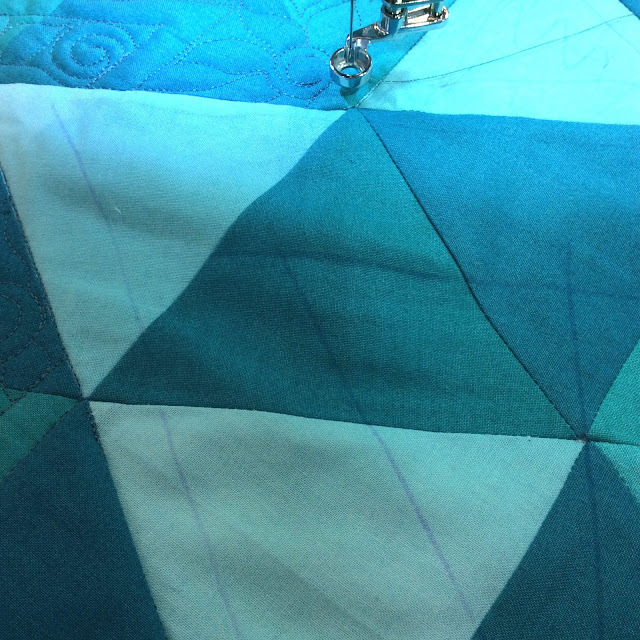 Then I stitch the inner triangle. Then I show you the rest of the fill tomorrow! Here's a special, cheerful spot in my shop (Sew Simple of Lynchburg) that is making me very happy. 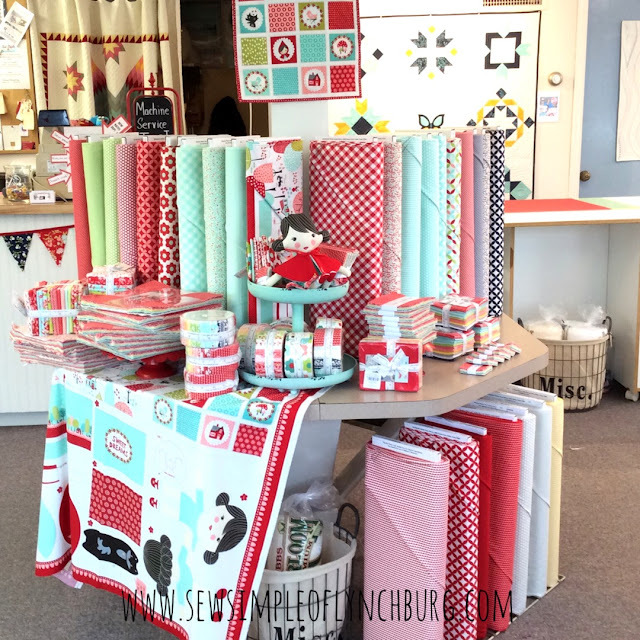 Front and center when you walk in the door is Lil Red and Bonnie and Camille Basics in yardage and precuts. I hope you have a spot in your life that is making you smile during these dreary days of winter. 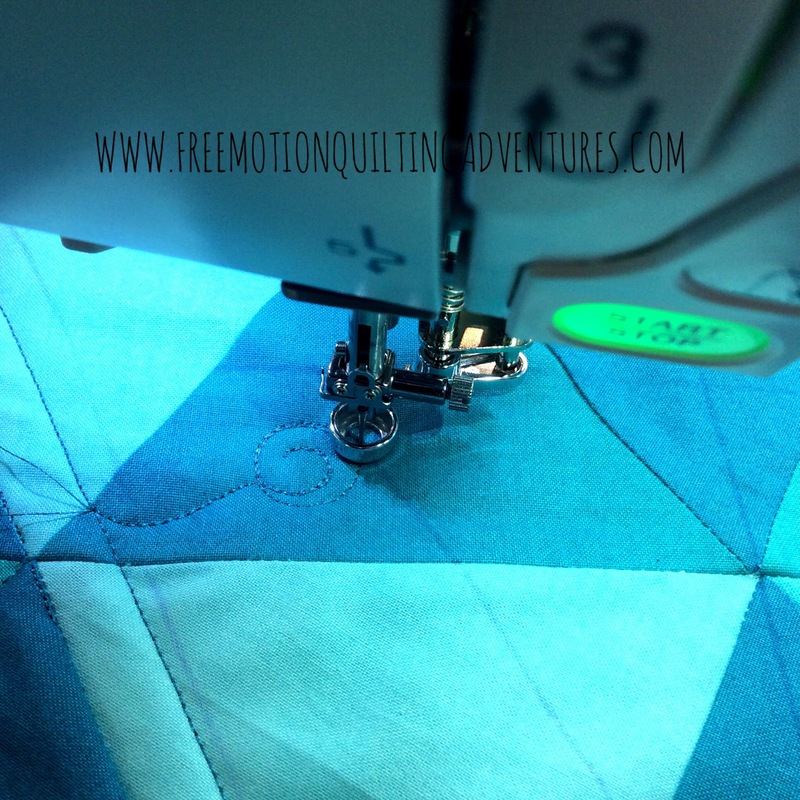 Great time to quilt!